Can you make changes for Opera Next please? Thank you. On websites where there are two or more password fields, like when you are changing your password or signing u for a new account - the "Show Password" only shows the last field. The only time this is a problem is when it asks you for your "Old Password" (you can't see it). The extension interferes with remembering passwords to multiple pages. please find another way to activate this oex. 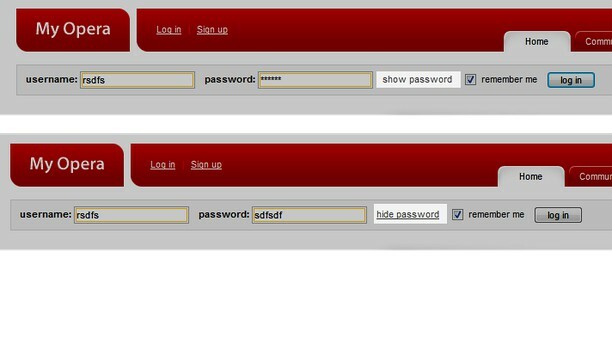 adding "show password" often destroys the websites design or just looks awfully. A button as alternative next to address field and search box would be good.